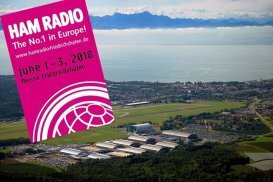 I will be present at Friedrichshafen HamFair 2018 ! I will be at the fair Friday all day and Saturday all day, we will come back to Italy sunday morning. If you need a QSL to confirm our contact please send me a request through the form of the website with the data of the QSOs !